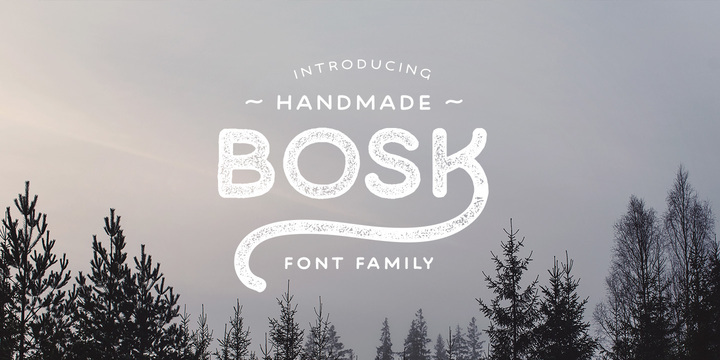 Bosk Hand is a typeface created and published by Andrew Footit which it consist of Regular & Bold version as well as design elements that can be used to add finishing touches to your typographic layouts. The elements version has over 30 flourishes. High resolution press version that will maintain quality when scaled to larger sizes. It is great for logotype, display, packaging, poster etc. The chameleonic Bosk Hand is here! A font description published on Friday, March 4th, 2016 in Andrew Footit, Fonts by Alexandra that has 3,170 views.